Now we'll go over what is not automatically included on auto insurance, and are optional for you to choose. Uninsured Motorists Bodily Injury (UMBI) - This coverage is for when someone else hits you and they are at fault, and they either don't have insurance, or don't have enough insurance to cover your injuries, this limit on your policy will come in. Generally these limits will match your BI limits. Uninsured Motorists Property Damage (UMPD) - This coverage is only needed if you don't have collision coverage (see below) and will pay out a set limit of $3,500 to repair your car if someone without insurance damages your car. Medical Payments - This covers other people in your own car, and the benefit of this is that it will pay out for injuries for your passengers before anyone is considered at fault and the hope is to prevent them from filing any lawsuits against you by helping to cover any medical bills right away. Comprehensive & Collision - When we talk about full coverage, these coverages are what we're referring to. Comprehensive and collision are important because they cover your vehicle. Comprehensive covers everything other than collision, meaning if someone steals or vandalizes your car, or if you have windshield damage, you can pay your deductible to have it repaired or replaced. Collision covers your car when you're at fault in an accident, just like comprehensive all you need to do is pay your deductible and your car will be repaired or replaced. Also keep in mind that if you financed or leased a car, the finance company will require that you have comprehensive and collision coverage. 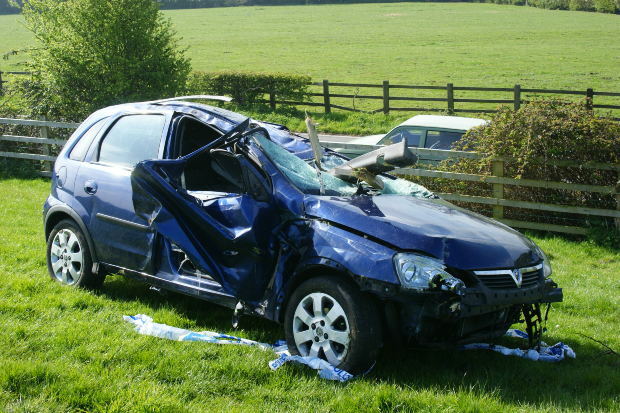 Collision Deductible Waiver - You should always make sure this is included when you have collision coverage. In the event that an uninsured driver damages your vehicle, you can get your car repaired or replaced without paying the collision deductible with this coverage. Keep an eye out next week for Part III of auto insurance coverages!